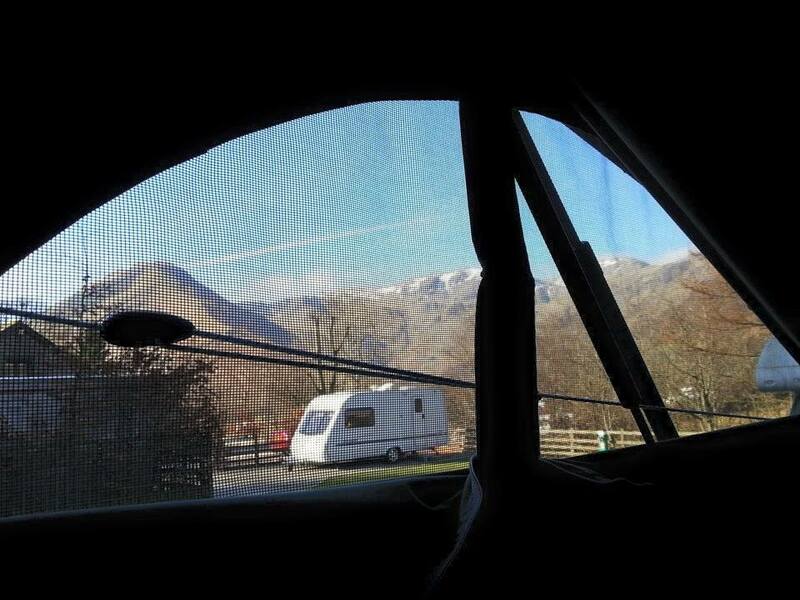 One of my favourite things is unzipping the side windows in the top bunk bed first thing in the morning and lying in bed with whatever view we can see from our overnight pitch. This morning's view was the best yet and will be hard to beat. We could have been in Switzerland but were, in fact, only in the Lake District. Unzipping the window today revealed snow-capped mountains and piercing blue skies. It was stunning. I ventured downstairs to grab a mug of coffee before returning to bed to absorb such beautiful surroundings - all other thoughts becoming a distant memory. 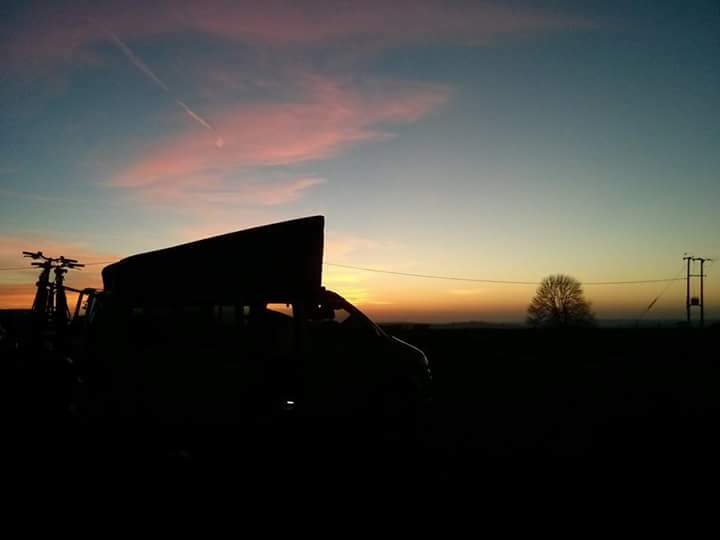 This is what campervan living is all about. For Mother's Day weekend we picked Yarwell Mill caravan site and invited family to join us for a picnic on the Saturday. My parents had a caravan on this site throughout my childhood and we spent every weekend and school holiday here. I have great memories of canoeing, fishing, swimming in the river and so many other things. The site is mainly dedicated to seasonal pitches which spread along the river banks or lake. Our touring pitch was on the mill pond and for the Friday evening we had the pond all to ourselves. The pond is adjacent to a river lock and weir and rather noisy from the water, but didn't it didn't prove problematic to sleeping. We walked to the Queen's Head pub in Nassington on Friday night and enjoyed a couple of pints of real ale before walking back in the dark. We walked along the road and we'd learn on Saturday that there's a more pleasant route through fields. I had no idea anywhere near Luton could be nice. What a pleasant surprise this weekend has been! The criteria for choosing this weekend's campsite was that it should be near to great cycleways and, since we're still out of season, open all year. 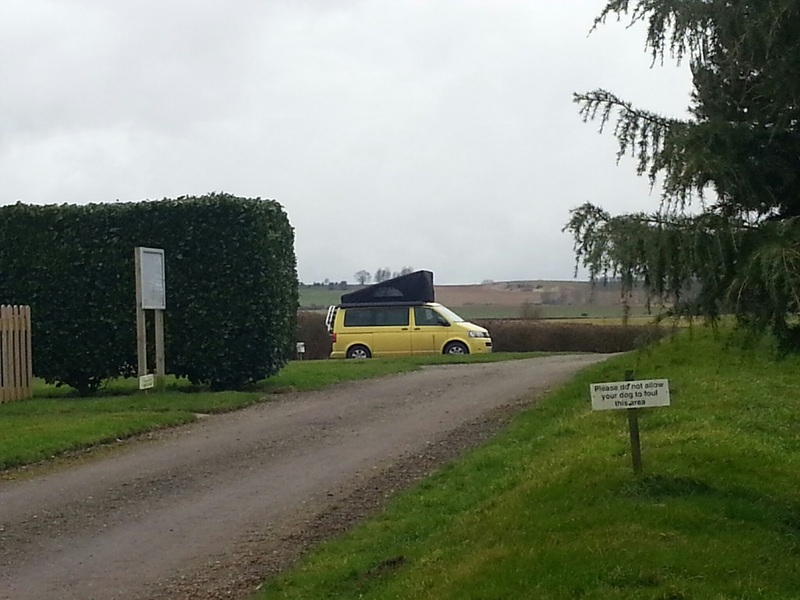 Town Farm Camping & Caravanning caught my eye because of the stunning views in the photos on its website. On further investigation I also found the Chilterns Cycleway passes right by Ivinghoe, the village above which Town Farm nestles. I didn't realise the Chilterns were located here. It's one of 38 Areas of Outstanding Natural Beauty in England and Wales, covering 324 square miles of countryside and boasting a 170 mile circular cycle route. We've spent the weekend in the Lincolnshire Wolds, a range of hills not far from the east coast. It's actually the highest area of land between Yorkshire and Kent. 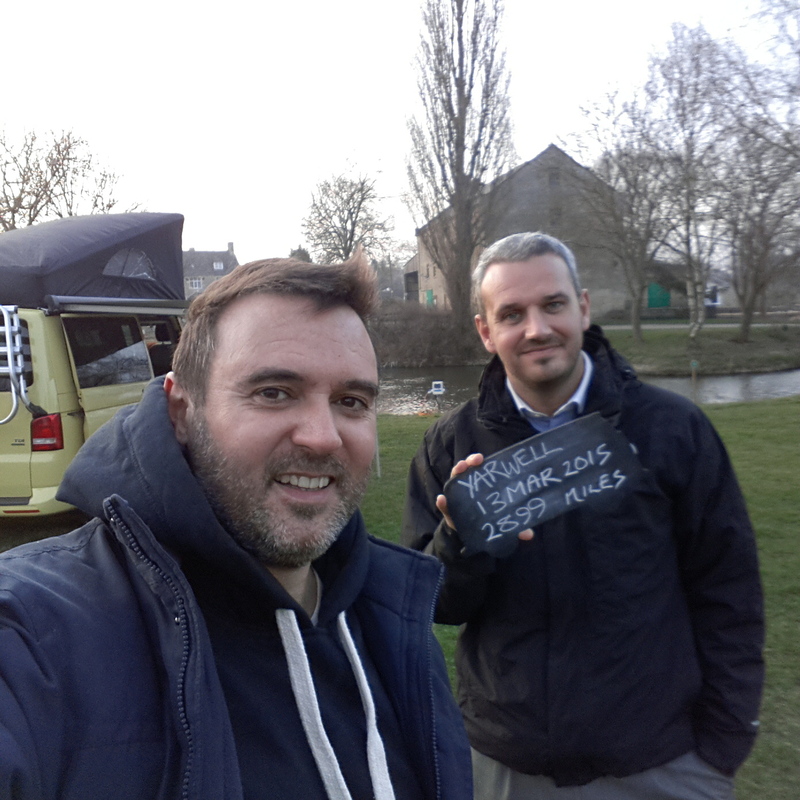 We arrived at our campsite, Grange Farm in Salmonby just before 6pm and were welcomed by a blackboard that showed our pitch number, and that of the one other caravan we shared the site with. They'd made a few assumptions when they wrote our names on the board. It's very possible the other couple were indeed Mr and Mrs X, but we certainly weren't. That aside, the site is lovely. It has just five pitches, all hard standing, atop one of the highest hills around with views over nothing more than even more hills. It was windy up there though!